THERE’S an Easter egg in the sky! 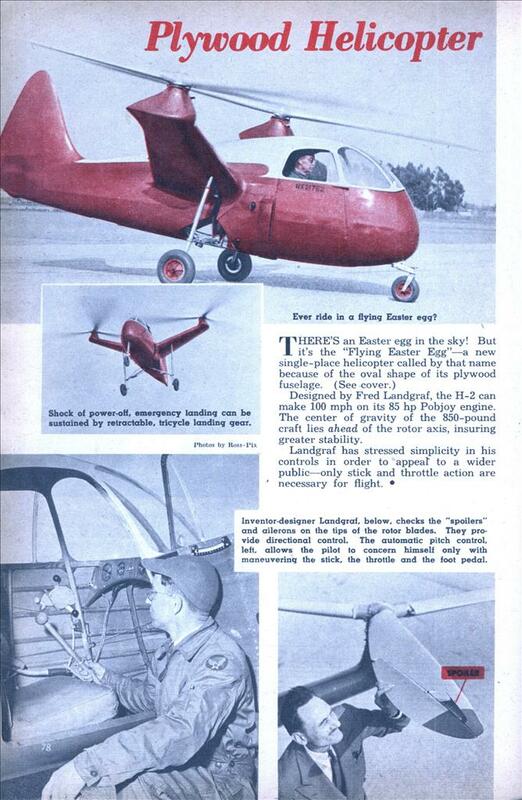 But it’s the “Flying Easter Egg”â€”a new single-place helicopter called by that name because of the oval shape of its plywood fuselage. Designed by Fred Landgraf, the H-2 can make 100 mph on its 85 hp Pobjoy engine. The center of gravity of the 850-pound craft lies ahead of the rotor axis, insuring greater stability. Landgraf has stressed simplicity in his controls in order to appear to a wider publicâ€”only stick and throttle action are necessary for flight. Does anyone have additional information about this design? 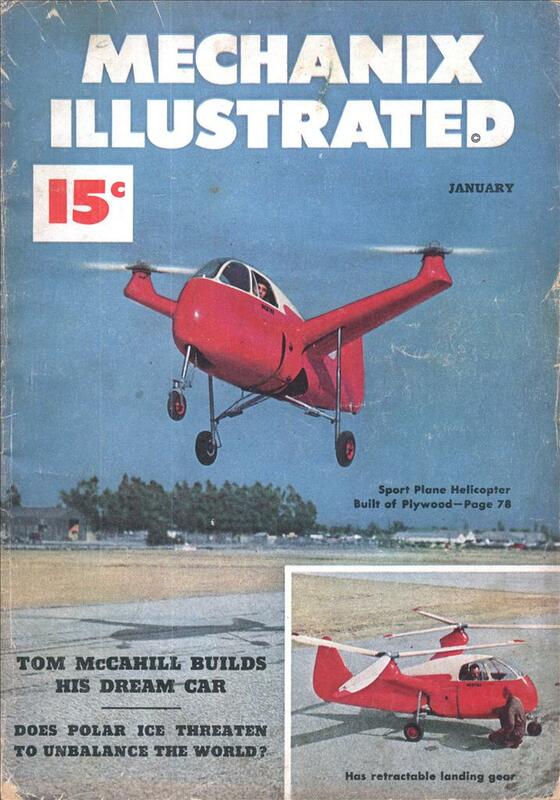 Might be interesting to build as a Light Sport Aircraft.